We’ve been looking forward to getting our hands on the Indica since we heard it would soon be released. Right off the bat, we’re digging the look of this portable vaporizer. It’s certainly unique and doesn’t look like anything else on the market. Will it perform as good as it looks? Let’s find out. The Indica vaporizer is a handheld portable unit that shares the same look as a Zippo brand lighter. 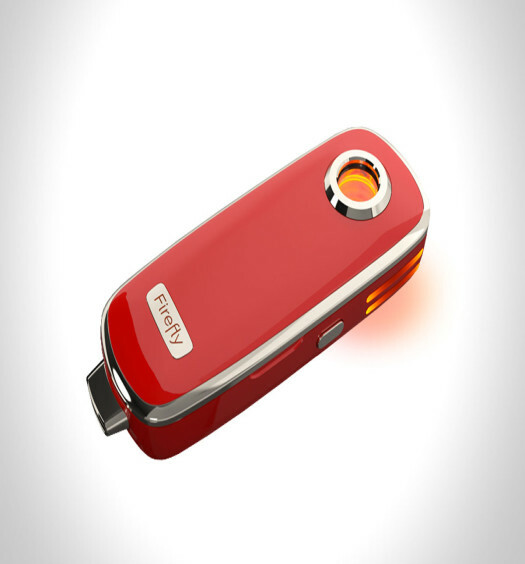 Though there is a resemblance to a classic lighter, this vaporizer does not require any flames or butane for operation, as it runs off of a lithium ion battery. It loads on the side of the unit by removing the small chamber door, which easily slides off and back into place. The hinged top of the Indica closes down, hiding the mouthpiece and control button when not in use. The discreet design is also very user friendly and easy to operate right out of the box, which is actually a nice wooden cigar box looking container that everything arrives in. The Indica vaporizer box includes the unit itself and a USB charging cable. Two vape picks, a cleaning brush and pipe cleaners come standard with every unit for proper maintenance and cleaning of the unit. Three mini spacers for optimal vapor production when packing smaller bowls are included, as well as an additional chamber door that keeps the herb contained in the heating chamber. A detailed instruction manual comes with the Indica and features a temperature chart that breaks down what the different colors represent. Also in the wooden box is a nice storage pouch for carrying around your Indica and accessories with ease. I found that running the Indica on the green setting works well for achieving a thicker vapor. Also, there is a larger heating chamber on the Indica and the included spacers are used to produce optimal vapor when using less herb. I suggest testing it without the spacers first, just to see the difference and if they are even necessary for the amount that is being packed. WHAT HEAT LEVEL SHOULD I VAPE AT? This will all depend upon the quality of the herb that is being used at the time. Operating it on the green level (376°F) is a great starting point. As the herb is vaporized, jumping up to the purple and then even the red level ensures that all of your product in the chamber was used up. If you are looking to achieve thicker vapor or pressed for time, starting at the red level (412°F) will vaporize the herb much quicker. Experimenting with the different levels will allow you to find the best possible temperature for your needs. HOW MUCH SHOULD BE PACKED INTO THE CHAMBER? The chamber can hold up to .31 grams of herbal product. This does not mean that it must be completely filled every time. You can fill the chamber about a quarter to half way and still receive the same sort of vapor production, it just will not last as long. The included mini spacers allow for smaller bowls to be packed as they are used to fill the empty space with a little piece of metal that allows for the proper heat distribution. Without the spacer in the bowl, it can vaporizer unevenly and leave some of the active properties of your herb behind. The goal is to achieve the greatest efficiency with the smallest amount of herb possible and the Indica pulls this off well. The battery will provide roughly two hours of continuous use on one charge. Running on the higher temperature settings will deplete the battery quicker than vaporizing at a lower temp. Another aspect to consider is how frequently the unit is turned on, heated and then turned off. The two hour time frame is according to continuous use of the unit. If using the Indica for short sessions, the battery life may drop to an hour & a half or so. Plugging the unit in before the battery has completely died will keep it at peak charge and ready for use. The Indica continues the trend of discreet vaporizers that resemble everyday items, such as the PUFFiT and an inhaler. The design allows for it to be taken on the go and used in public without drawing much attention. With a lid that closes down the mouthpiece and heat control stay protected when not in use. 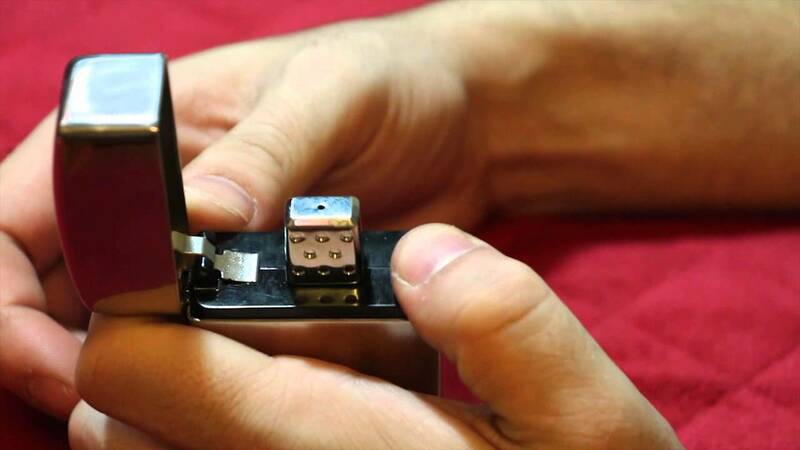 It is also very lightweight and truly not much larger than an actual Zippo, though it is slightly. A feature that I found to be nice was that the unit does not turn off automatically when the lid is closed down. You can turn it on, close it up and allow it to heat. 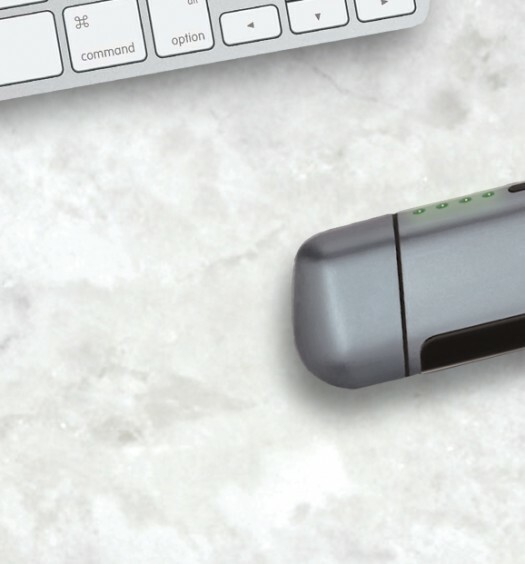 Performance-wise, the Indica is a very efficient vaporizer that evenly heats the herb. The included spacers help to reduce any waste when packing smaller bowls. The multiple heat levels make controlling the vapor production incredibly easy and allow for you to really taste your herb. We recommend purchasing the Indica from this trusted retailer. They will ship it for free and throw in some extra goodies as well. We give the Indica high marks for originality and portability. However, we weren’t really fans of the vapor quality or vapor production. All in all, it’s a very well built unit that is a solid option for vape enthusiasts looking for something a little different.